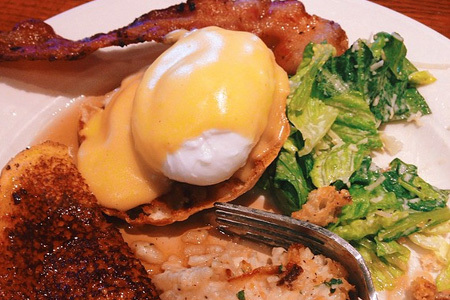 Granite City Food & Brewery offers an impressive Sunday brunch in Naperville from 10 am to 2 pm. Our brunch is served buffet style and includes a vast array of sweet and savory items from pastries to carved roasted meats. Granite City is proud to also offer a variety of fun and fruity breakfast cocktails for guests to enjoy. To make a reservation or to find out more information about Granite City Food & Brewery’s Sunday brunch in Naperville, contact us at 630-544-3700. Or you can send us your request by filling out the form on this page. Granite City offers a wide variety of gourmet cuisine during our Sunday brunch. Our specialties include Granite City Signature Caramel Rolls, Reggianno hash brown potatoes, and steak and black bean chili. Our Chefs show off their culinary genius by serving up exclusive pastries and delicious featured entrées that change weekly. Granite City also offers made-to-order Eggs Benedict and RumChata French toast. Our standard dishes include a carved meat station, a make your own omelet station, and a make your own waffle station. For our guests, we provide a generous amount of fruits, vegetables, and seasonal salads. We also have some exciting savory options like: thick sliced bacon and jumbo sausage links, smoked salmon, and biscuits and gravy. Granite City Food & Brewery is proud to serve top shelf liquors in our Brunch cocktails. We use the finest ingredients to create stunningly delicious beverages to make your brunch just a bit more exciting. 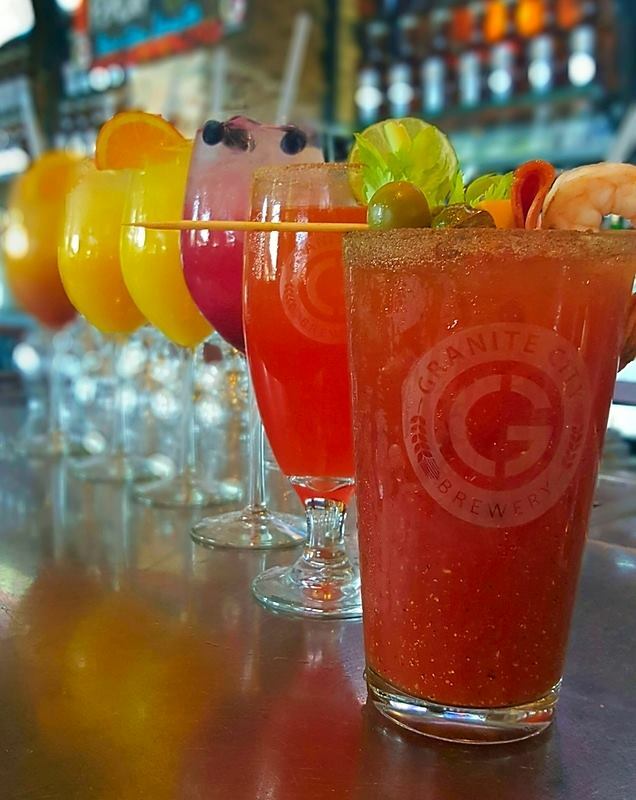 For a unique culinary experience, come in to Granite City Food & Brewery of Naperville for our amazing Sunday brunch! To make a reservation or to find out more information about Granite City Food & Brewery’s complete Sunday brunch in Naperville, contact us at 630-544-3700. Or you can send us your request by filling out the form on this page.